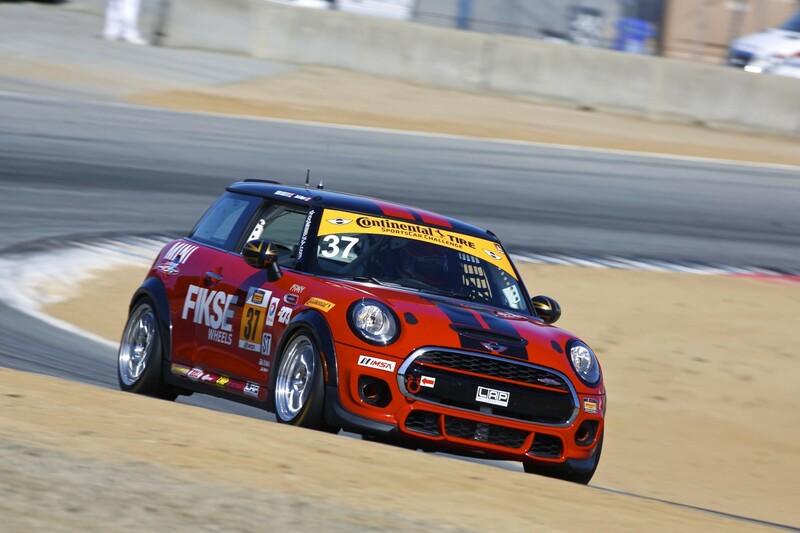 The first practice session at Mazda Raceway Laguna Seca has finished and it wasn’t the best showing for the MINI JCW Team. The top running JCW was the #37 car with Mark Pombo behind the wheel. He put in a lap of 1:45.466 good enough for 20th out of the 27 cars in class, almost 6 seconds behind the lead time which was put in by a Porsche. Hopefully the team makes some changes and improves in the second session which is later today at 05:40 ET. ← Team Gear Now Available!